Did you know that you can write on windows with dry erase markers and then easily wipe it off? This is one of my kids absolute favorite things to do indoors, and it keeps them busy for hours! 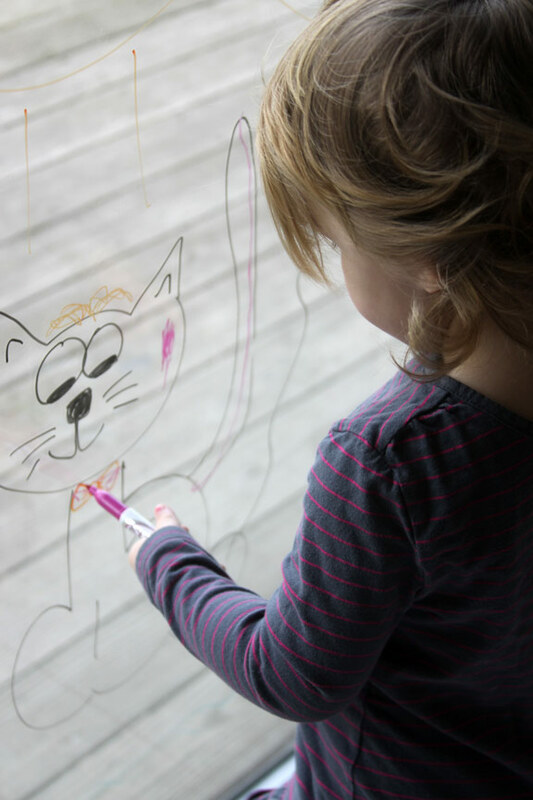 All you need are dry erase markers and a window or mirror in your home. This is one of those things that seems so simple and obvious, but you may never think to let your kids do. 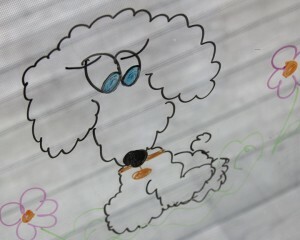 The instant I found out you could write on windows with dry erase markers I thought, why didn’t I think of this sooner. I realized this about a year and a half ago and the kids have not stopped enjoying it since. 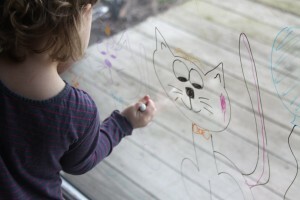 All you need are some colorful dry erase markers from any store and a window in your home to let the kids get creative. No need to commit to a giant dry erase board in the house, or spend money making one for the kids. Your house is filled with great spots for them already! 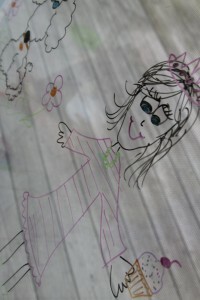 The markers are so fun for them to draw with and easily wipe clean from the window with a rag. We often sit down together at the window and tell a story together and draw the pictures to go with it. 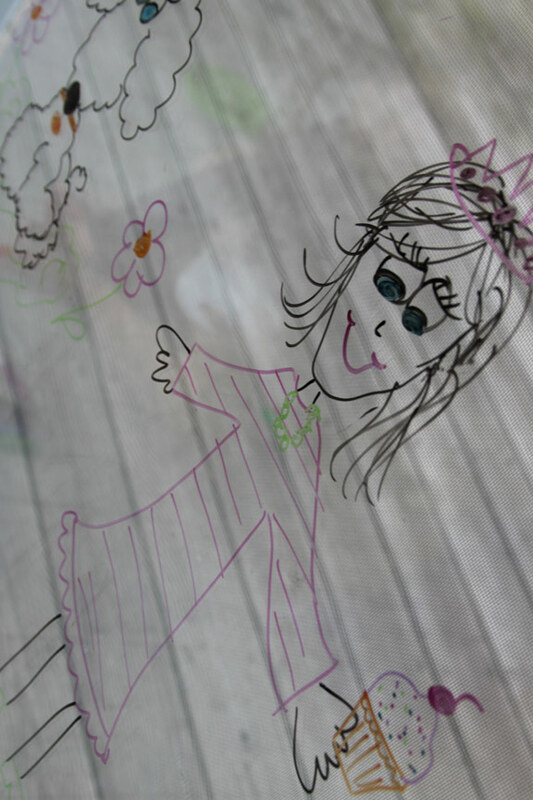 My daughter loves to have me draw her and then she adds a princess crown, a cupcake, an ice cream cone, and all of those fun things that she dreams up. The possibilities are endless for them once they get an idea and I love to see what they come up with. We have a large sliding glass door in our kitchen that we usually use. It has lots of room for them to draw anything they could want and enough space for them both. I love to have them in the kitchen, and this is one of the best ways that they have found to stay busy while I am cooking. You will never walk into our house and see that particular window clean, because it is always covered in the kids adorable dry erase art work. I love having their work on the window to enjoy while I go about our daily chores. When I do really clean the window I wipe all of the marker off with a paper towel and then wash it with Windex like normal, and you would never know that it had been their art easel for the last month! I love to leave little pictures and messages for them in their bathroom on the mirror, and it is so exciting for them. If you are worried about them accidentally writing on the trim you could always put a few pieces of painters tape around it to make sure it stays free from marker. 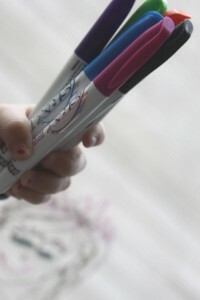 You only need to apply it as far as they can reach, and then you can let them go crazy coloring, worry free. If they do have an accident I have found that The Mr. Clean Magic Erasers works like a charm. My only warning is to make sure you put the markers out of the kid’s reach when they are done, so that you have to get them out for them, and know when they are going to be writing on the windows. It is certainly not a problem for my 5 year old, but my three year old sometimes forgets where it is appropriate to use the markers if she is not supervised. I love anything that allows the kids to be creative, that we already have in the house, and keeps little hands busy! This is a great rainy day activity, and one of my kids favorites! Thanks for this awesome tip! My two older girls (ages 5 and 3) were bored yesterday and I happened to see that I had an unopened pack of dry erase markers in our craft basket. I quickly googled my question of whether or not they were OK on windows and stumbled across your post that way! It held their attention for over an hour. Thanks! !